28 Nov, 2017 by	Margaret M.
Yesterday we wrote about damaging fake news rumors printed by British tabloids and Vanity Fair, and Donald Trump himself didn’t waste any time to defend the honor of the First Lady. 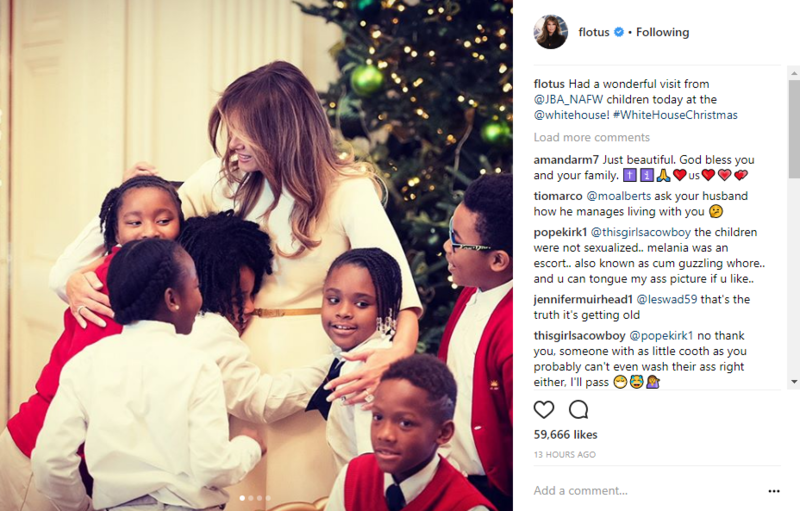 If you prefer to see less waste in the White House and a more reserved, less political role for the First Lady (who is still also an active mother to her 11 year-old son), then it’s Team Melania for you. 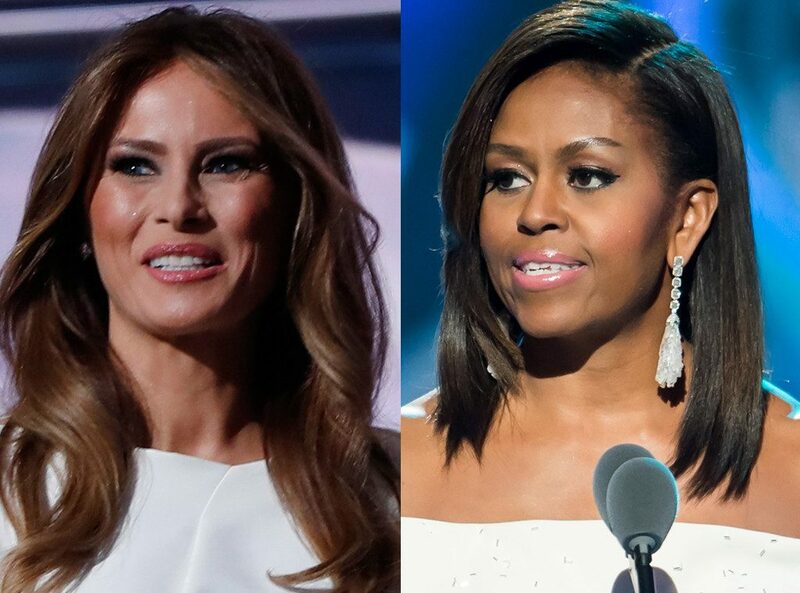 She’s reduced the annual salaries of the FLOTUS’ office compared to Michelle by $750,000 and her taste in fashion has made her a hit wherever she accompanies Donald. Recently she accepted this year’s White House Christmas Tree and earlier this week she hosted to show off the Christmas decor just strung up around the White House. Melania, who clearly hates her job. Women HAAATE it when children love them. Last month we wrote about how Melania is prioritizing her time to reach out to Gold Star families. One woman, Jill Stephenson, who lost her son Corporal Benjamin Kopp, was sent a signed letter from Melania’s office. Her son was killed in 2009, but the Obama Administration dealt with his death by accidentally sending her the same letter over and over again, blaming a technological issue. The letters were signed with Barack’s autopen and Stephenson was told to just deal with the extra letters.